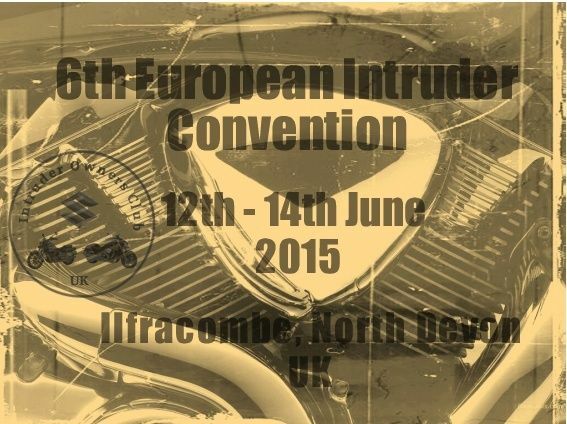 Ok folks, we are the hosting Country / Club for the 6th European Intruder Convention 2015. We have a lot of work to do and need to get started on the organisation of it straight away. we are going to need lots of volunteers for "Crew" on the weekend, plus rideout marshals etc etc. It all depends on work and dates of course but if I'm there I'll happily volunteer. cheers Guys.....we need to find a location willing to let us hold it first. I've contacted 'the biker guide' to see if they can recommend anywhere that fulfils our requirements. I have a friend of mine who's down Bassetts Pole a lot getting some prices and ideas together, the more ideas on the table the better eh? a bar / clubhouse / restaurant and be able to cater for 150 people minimum. Indeed! There's a local bike meet by us that has a stage truck for hire as well, complete with lights and PA if need be! Hi guys, just a thought for what it's worth. How about looking at something like a centre parks who'll have everything on site? There's several around the country so there's got to be a chance of getting one on board. I agree with Micks thoughts of getting the venue sorted first & working all the details out around that. Lots to thrash out & do yet but if we all do our bit it'll be great in the end. It'll be a good discussion point at the August meet to get thing rolling. tend to be very expensive. @Guzzer wrote: It'll be a good discussion point at the August meet to get thing rolling.  They host rallies for bikes & cars so may be a possibility. Check out the camping pods section. So anyone near there willing to call into the place and find out for us ?. It's about 80 miles from me but looking at the map it's in a pretty good area , about 15 minutes from the M40 with Kenilworth and Warwick castles and Stratford upon Avon nearby but on Trip Advisor gets some very poor reviews, mainly to do with the food and flooded camping pitches. Is it worth me messaging them if you want just to scout it out? Just thought! The office of the UK camping and caravaning club is about half a mile from my work. When I get some time will pop in and ask for some help. Ian I don't think they will be able to help. I am a member and they are very elitist . They have there own sites that they like kept in pristine condition and they don't do static caravans. Billing has a section of permanent caravans and there are some travellers that live there year round, it has been known for some of the kids to be mooching around the tents when they think there is no one about, been there a few times when in the car world and there was always an incident every time. prefer cabins, caravans and the like. So any ideas would be great. Looks great Mick, don't know whether carrying tents with them would be a problem for the European lot though with English weather how it is. and a lot of the euro folks don't mind camping anyway. I could be wrong, but I get the impression that you can actually hire a tent ?. of rugby type clubs available for hire all over the country. That's the sorta thing I had in mind... somewhere with a clubhouse/bar...possibility of a barbecue! Scotland ?. In the mean time I can contact them to get an idea of prices etc. Would prefer somewhere further south really, but no harm enquiring. Just seen this post, that's 10 mins down the road from us, I'll check it out if ya like but it'll have to be next week, perfectly placed for the Cheshire plains although some one will have to come up with a ride out route but also close to them there mountains of North Wales of which I can work one out, the English/Welsh border is only about 5 mins travelling from there. Yeah no probs, didn't even know that was down the road to be honest. That looks good, were they ok with around 150 to 200 bikers being there ?. Need someone to go check it out and ask questions. The Somerset one looks good. Hi I am a member of unwanted mcc in Burton on Trent, midlands so central for most folk, they have a venue called The Rockbar, it has bars, stage for bands, own disco etc, plenty of camping, toilets, disabled access n showers in place next door and lots of hotel accommodation nearby. They have just hosted RBLR national and currently is being used this weekend for a NABD rally. Go take a look at unwantedmcc.co.uk, contact numbers etc are on the website. Excellent venue and brilliant folk. It don't bother me where it ends up being as i'm lucky to be in a central location (Derby) but i do feel for folk who will have to travel from one end of the country in order to attend or be put off because of the location, should we not be thinking more central? or a central corridor for a location? We used this place for a couple of years ( Vulcan riders association) for the reason it is pretty central in the country, the hangars/ barns are a good size and the one we used has a catering kitchen for meals with a good size seating area for coffee and eating, we had plenty of room for camping and the trade stands we had invited there,also they didn't mind us having burger vans etc there as well for the late night munchie brigade.